Calling all SCOUTS! 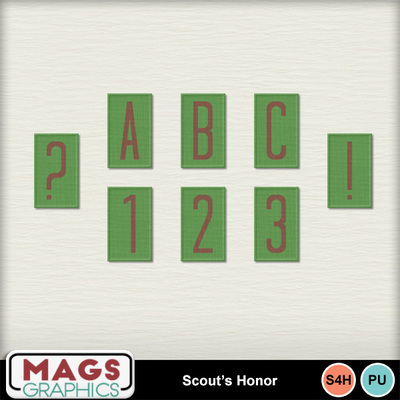 This "Scout's Honor" Collection is for you! Display those badges and accomplishments with pride. Remember your camping trips, your fundraising efforts, your community service. Don't miss any part of this collection! This is the ALPHA PACK 2. It includes 26 Uppercase Letters, 10 Numbers, and 15 Symbols and resembles the pack badges.